Retirement of Bishop Paul J. Boardman, Jr.
With sadness we have to announce, that our Bishop, The Most Reverend Paul Jacob Boardman, Jr. health has deteriorated recently very much and he has announced to the Office of Patriarch of his retirement effective immediately. Please pray for Bishop Boardman and especially for his health as for his wife Murielle at your Masses and other gatherings. He will remain a Bishop of The Anglocatholic Church, but without no duties or obligations. He promised to support our Church as much as possible. He will be in the same status as our Bishop Jean Claude Normand in France. 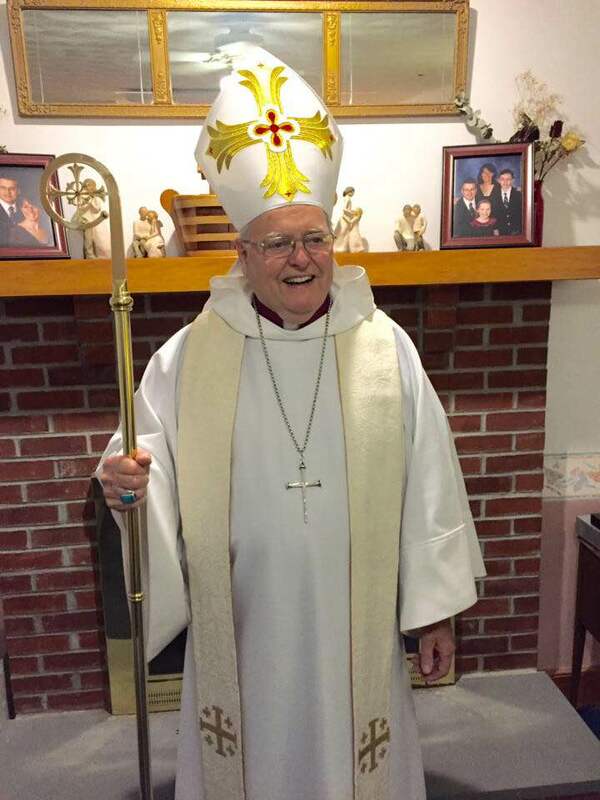 The Anglocatholic Church thanks Bishop Paul Jacob Boardman, Jr for his best service ever possible to the Kingdom of God through The Anglocatholic Church and asks blessings upon his continued ministry! With this statement there is no Diocese of Saint Michael in the U.S., Bishop Boardman Jr. is not a member of The Holy Synod and its Chaplain – the place of the Chaplain to the Holy Synod is vacant – sede vacante.